Bela Lugosi experienced many personal and professional lows, but even by his standards 1953 was not a good year. His life was in disarray. His marriage of twenty years was crumbling and would end in divorce with his wife Lillian being granted custody of their son Bela Jr. Coupled with his personal woes, Lugosi’s career, which, thanks to his inescapable typecasting as the “horror specialist”, had always been precarious, was a shambles. Inexplicably unable to capitalize on the huge success of 1948’s Abbott and Costello Meet Frankenstein, which saw him make a triumphant return to the role of Dracula, Lugosi had appeared in only two low-budget comedies in the intervening five years. The first, Mother Riley Meets the Vampire, was made in England at the end of his six month provincial tour of Dracula in 1951. A thinly disguised retread of Abbott and Costello Meet Frankenstein, even having the audacity to recycle some of the jokes, the film was unmarketable in America thanks to its dated, even for most British audiences, regional humour. Alex Gordon, a friend and supporter of Lugosi, conceived the idea of replacing the scenes of Arthur Lucan’s Mother Riley character with newly shot footage of Lugosi and releasing the film under the title King Robot. Unfortunately, a period of illness left Lugosi thin and haggard looking, making it impossible to match any new footage with the original. Mother Riley Meets the Vampire would have to wait over ten years to receive a belated American release as My Son, The Vampire. 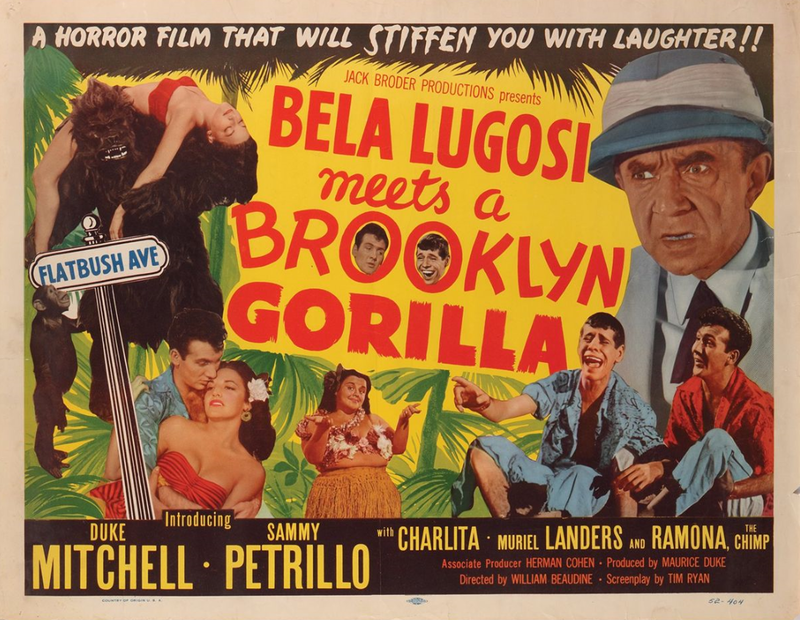 Lugosi’s only film made during the year of his return to America was 1952’s Bela Lugosi Meets a Brooklyn Gorilla, which, according to star Duke Mitchell, producer Jack Broder never intended to film. Mitchell and partner Sammy Petrillo’s whole act was based on impersonating the then hugely popular Dean Martin and Jerry Lewis. Broder was said to have been expecting Paramount Pictures, which had Martin and Lewis under contract, to pay him off. When the studio dropped a lawsuit against him, however, he was left with no choice but to go ahead with the production. Whatever the truth of the matter, the film, which did nothing to enhance either Lugosi’s flagging career prospects, his reputation as an actor or his self-esteem, was released to general disdain. With no further offers of film work, Lugosi spent his days brooding over his fate and jealously checking on the whereabouts of his wife. 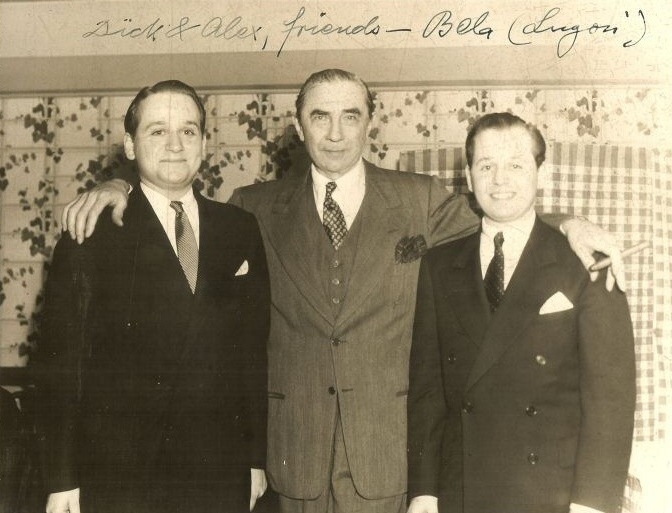 Despite the apparent hopelessness of his situation, Lugosi did have friends who were actively trying to create opportunities for him. Alex Gordon, whose brother Richard had secured the British tour of Dracula and the Mother Riley film, was trying to persuade Allied Artists to green light production on a script he had written with Lugosi in the lead. Studio head Steve Bradley was interested in The Atomic Monster, but he envisioned it as part of a double-bill with Boris Karloff starring in The Atomic Monster and, presumably on the bottom half of the bill, Bela headlining in a vampire movie for which Gordon had a script. The whole deal hinged on Karloff. Without his participation, neither movie would be made. 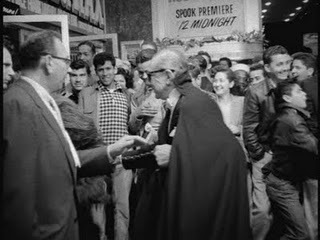 To Gordon’s delight, Karloff agreed. Ford Beebe was drafted in to direct and rewrite both scripts, and Lon Chaney Jr. was added to the cast of Lugosi’s film. Despite the preparations, Allied Artists had a change of heart. Beebe was reassigned to direct westerns and the double-bill was scrapped in favour of House of Terror, a proposed movie that would feature all three horror stars. Gordon felt the project needed promoting to keep it afloat. 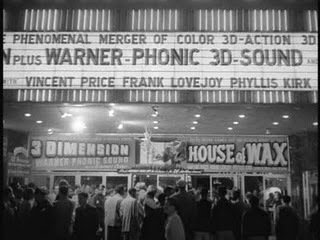 The forthcoming April 16th premiere of Warner Brothers’ new 3-D Technicolor House of Wax, which would hand Vincent Price the crown of the new king of horror, seemed like an ideal opportunity to drum up publicity. Gordon called Warner Brothers and suggested that Lugosi make a public appearance. Warner Brothers agreed, suggesting that he wore his Dracula cape and, to make it even better, be accompanied by an actor in a gorilla suit on a leash. A far from thrilled Lugosi was in no position to refuse. 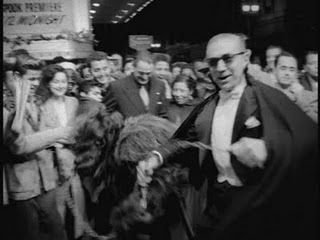 Director Ed Wood told Lugosi biographer Robert Cremer that Lugosi was so unhappy about the gorilla stunt that en route to the premiere he practically refused to attend and tried to get out of the car. 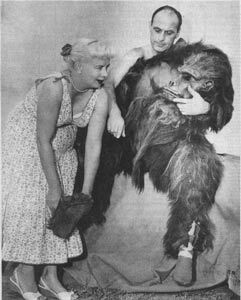 This is hotly disputed by Steve Calvert, the actor in the gorilla suit. “I got along fine with Bela,” he recalled. “I don’t remember anything like that at all. They picked me up on the way to the theatre, I rode down with them, and he led me into the theater on a chain. We’d worked together before. I don’t know why he’d be embarrassed. After all, he was dressed up like Dracula himself.” They had indeed worked together. 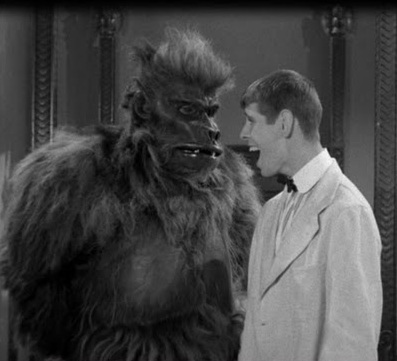 Steve Calvert was the gorilla of Bela Lugosi Meets a Brooklyn Gorilla. 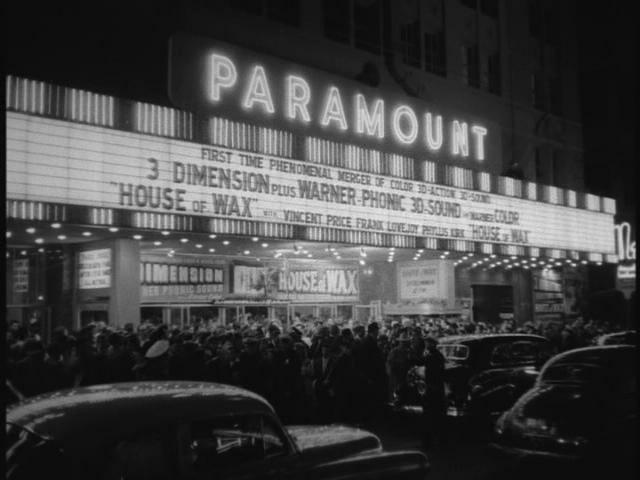 Accounts of what happened at the Paramount Theater’s midnight premier and in what order tend to vary according to the teller. An interview, which was apparently televised, was scheduled with Shirley Thomas. Due to his deteriorating hearing Lugosi memorized the questions and his answers in advance. On the night, however, Thomas, who is said to have misplaced her list of questions, asked them in a different order. Due to the hustle and bustle of the crowd, Lugosi didn’t realise and answered them in the original order. It must have made for surreal TV viewing. 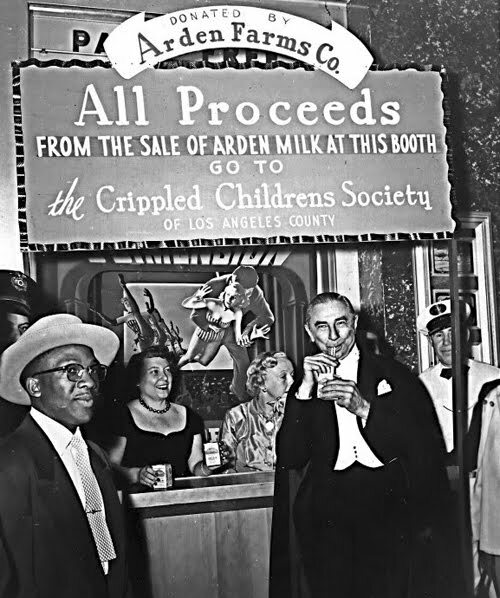 After having his photo taken drinking milk at a charity stall, Lugosi grabbed one of the assistants and adopted a familiar Dracula pose for the cameras. So startled was the lady that she spilt milk all over him. A tired and bewildered Lugosi took his seat in the cinema, waited for the lights to go down, and quietly left through a rear exit with Alex Gordon. 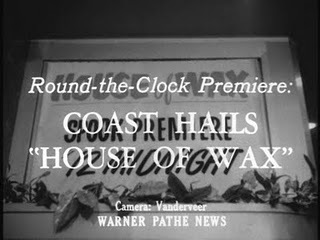 In addition to TV coverage, the premiere was also captured on film by Warner’s own Pathe Newsreel. Unlike the supposed TV footage, which has never surfaced, the newsreel has survived and is available, minus its original soundtrack, as an extra on the DVD and Blu-ray releases of House of Wax. 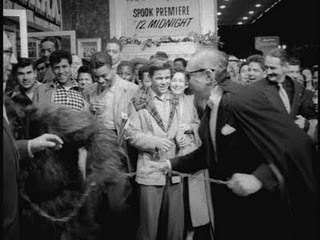 Released on April 27, 1953, the newsreel captures the arrival at the premiere of Lugosi and Calvert, watched by, amongst others, Evelyn Ankers, who had appeared with Lugosi in the Wolf Man and The Ghost of Frankenstein. 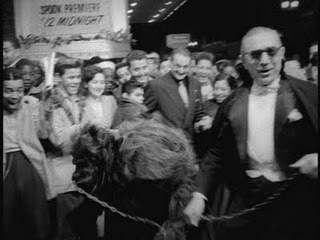 Far from Lugosi leading the gorilla, he is seen being practically dragged into the cinema as a reporter tries vainly to stop him for an interview.